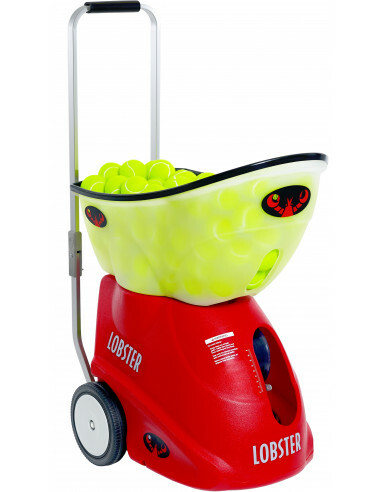 By offering exercises customizable, the Lobster 5 is one of the machines tennis balls digital the most technologically advanced. Schedule up to 6 personalized workout with 6 shots per drill. 2 399,00 € tax excl. Schedule: 6 exercises with 6 shots each. Programmable zones of the track: 6 points horizontally, 3 lines vertically. Oscillation: Horizontal, Vertical, Random, 2 Line in 3 amplitudes. Plays: 12 plays defined with 6 shots per play. Power: Battery 4-6 h of use.